My husband rarely accepts one of my exploratory, experimental cocktails, choosing instead to mix himself a reliable, uncomplicated gin and soda or bourbon with a splash of water. 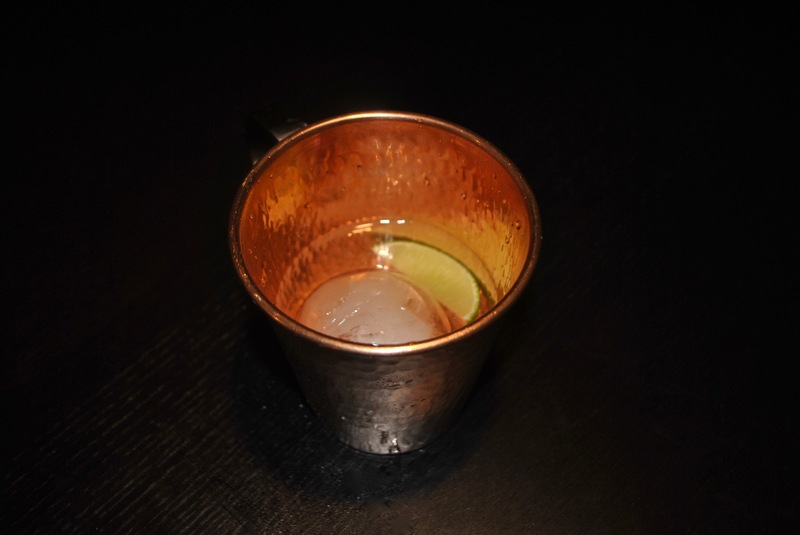 He happened to mention one evening, as we were preparing dinner how much he had enjoyed a delicious moscow mule that was offered on a recent night out with the guys, and I was hopeful we had discovered a pre-dinner drink to share and sip together. Pour 1/4 cup club soda, 3 tablespoons of vodka, and 1 tablespoon of ginger syrup into a copper mug filled with ice, stir gently to combine. Garnish with a lime wedge. Hubs makes ours with vodka, ginger beer, lime and mint. Really good. Awesome photo. I LOVE the idea of the mint – delicious!!! This is my go to drink but have never tried it without ginger beer and never tried club soda so sounds interesting! It’s very refreshing drink! Hey sweet friend – I think I would definitely include the ginger beer next time I make this!! !